Enterprise Florida Inc. invites you to a business briefing, “Doing Business in the European Union” Friday September 28, 2018 at Co:Lab. In 2016, the United States and the 28 Member States of the European Union (EU) enjoyed a robust economic relationship, characterized by $5.1 trillion in two-way investment. In 2017, Transatlantic trade flows (goods and services trade plus earnings and payments on investments) averaged $5.2 billion each day. It is estimated that transatlantic commerce generates more than 15 million jobs. The transatlantic digital economy is an important pillar in the overall U.S.-EU economic and commercial relationship: the United States and EU represent the two largest net exporters of digitally deliverable services in the world and, in 2015, 62% percent of U.S. services exports – representing $184.2 billion — were delivered digitally. 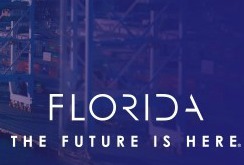 Come join us for an Enterprise Florida EU Market briefing that may help you gauge your company’s opportunities in the European market. Light refreshments will be served. Please RSVP via email to [email protected] Space for this briefing is limited.